The iPhone 4S has the power-efficient Bluetooth 4.0. It has lower latency and higher range, but doesn’t have the bandwidth for bulk data transfers. So, gadgets like the Nike+ can really benefit from BT4.0 – there’s barely any data to transfer but improving battery life is a huge plus. BT4.0 is also intended to work as electronic leash, wireless lock, various types of heart-rate sensors and such. Things like wireless keyboards will probably get in on the action too. On the up side, the new MacBook Airs and Minis support Bluetooth 4.0, so a good portion of the iPhone 4S buyers will already have a Bluetooth 4.0 enabled device. Other than that, adoption of BT4.0 is pretty low. NFC isn’t moving very fast either, but Nokia has vowed to include it in all their phones (and they still have plenty of market share) and Samsung is including it in some of their devices, with some carriers eager to use it. Credit card companies are joining in too. We’ll see how it goes, Apple certainly is a trend-setter, but it’ll have to start from the ground up. We are guessing Bluetooth 4.0 will be big with accessories, but won’t eat into on NFC’s territory. Bluetooth file transfers are still not available. Peer-to-peer connections over Wi-Fi, and even Bluetooth, are a way around this but they only work between iPhones and via third-party apps. 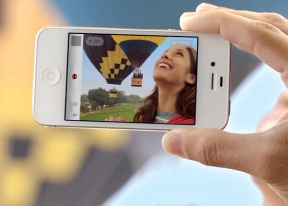 The latest iPhone 4S supports Wi-Fi b/g/n standards, as well as Wi-Fi hotspot. Tethering over USB or Bluetooth is also enabled. Just hit the on switch and choose connection type. 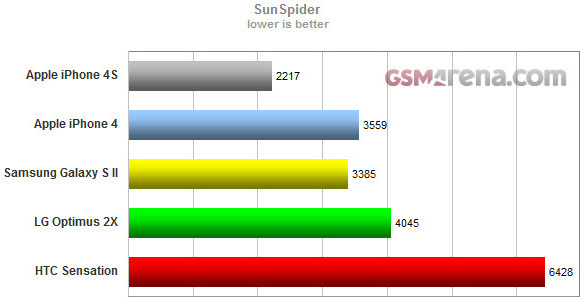 The iPhone 4S has quad-band GSM and HSPA support, with download speed of up to 14.4 Mbps and up to 5.8 Mbps for upload. It's touted as a world phone with a dual antenna setup capable of working under both GSM and CDMA (CDMA 800/1900 and CDMA2000 1xEV-DO). And no, there is no LTE support. The truth is, if you’ve bought and activated your iPhone 4S with a GSM operator, you won’t be able to roam in CDMA networks. Only iPhone 4S’s activated with a CDMA carrier will be able to roam in GSM carriers. The wired connectivity package offers a 3.5mm standard audio jack and Apple's proprietary 30-pin connectivity port. Although Apple announced a microUSB adapter, it wasn't supplied in the box. The iOS 5’s Safari browser has been updated too. Of course it inherits all the previous upgrades from the iOS 3.0: auto-fill and password manager, Copy Link and Open in New Page options, as well as the iOS 4's Google and bookmark suggestions. There are a few new handy features - the Private Browsing option and Reader mode. The Safari now offers a Private Browsing option in the settings (Settings->Safari). If you turn it on, nothing you do on the bowser will leave a trail in your phone - no browsing history, no search history, no usernames or passwords, etc. The only thing nicer than the Private Browsing itself would've been a dedicated key in the browser UI, instead of a lonely toggle in the Settings menu. In the advanced settings you can find very detailed web browsing data and delete all of it or some specific site-related data only (such as Google Search). And now let's talk about the best part so far - the integrated Reader. If a page is compatible with the Reader (most of the article pages out there are) you get the new Reader button right into the address bar as soon as the page loads. If you activate it, you'll get a clean view of the article you are reading - only text and the article-related pictures. There are no ads, no navigation controls, nothing beyond the important stuff. And best of all, getting from one page to the next is automatic as soon as you scroll to the bottom of the previous one. You can set the font size via two font controls at the top. You can also select a word and choose Define - the iOS 5 integrated Dictionary will open with the meaning of the word. If you open a multi-page article (like this review) the Reader will detect it and will load the next page when you reach the bottom of the current. You can also make bookmarks of Reader pages - they are added into the Reader List for later reading. Note that the page is not saved for offline access, it's just a bookmark. 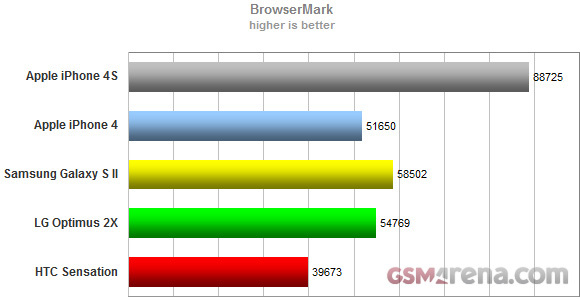 The Safari web browser is really fast on the iPhone 4S, with fluid scrolling and pinch-zooming, and excellent loading speeds. It does not support Flash, nor is it ever going to.